Thank you for your interest in Hartwell Editing. At this time, I am not accepting any new clients. I offer any combination of the services below to my clients. Please feel free to review my estimated rates and send me a quote request. I am happy to work with you to offer you professional services for an affordable price. Developmental Edit: A developmental edit is typically completed once you have finished your first or second draft of your manuscript. As your developmental editor, I think of myself as your partner—helping you to polish and refine your story before you begin working on your final draft. Developmental editing is about the “big picture” – is your manuscript structured in a way that makes sense to the reader? Does your underlying premise and pacing of the story build in a natural manner? Do your characters need additional development and work? Are you using a consistent narrative voice? I take all of these questions into consideration as I review your manuscript. What can you expect to get from me with a developmental edit? I will mark up your electronic manuscript with my comments and also include a written summary of those comments for you to use as you think about possible changes you might want to consider before moving on. This memo will include comments on plot, structure, characterization, dialogue, voice, and style. I also anticipate we would have a phone conversation to discuss my suggestions and work through any questions you might have. You are the author, so everything in my memo is purely my opinion and suggestion only. 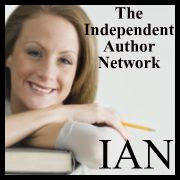 My goal is to help you shape your novel into something worth selling. While I will likely make small copyedits as I read through your manuscript, a developmental edit assumes that some revision will take place after the fact, so a heavy copyedit is not included in this service. Developmental Edit: $50/hour, which typically comes to about $15 per 1,000 words. Copyedit: A copyedit, also known as line editing, is the most common service I provide. Copyediting takes place after a developmental edit, once you have written and revised your novel a few times over and are ready to get it polished before sending it out to an agent or publisher. As your copyeditor, I will edit your electronic manuscript for consistency, grammar, and accurate spelling and punctuation. I will create what we in the publishing field call a style sheet, in which I track unique spelling of names, abbreviations, preferred punctuation and syntax, and other quirks of your writing. This is basically a road map I will use to ensure that your spelling and style is consistent throughout your entire work. I will also point out areas of repetition in your language, and clean up your grammar overall. I will return your electronic manuscript in tip-top shape, using the track changes feature in word, so you can view all the changes I have made and decide what to accept and what to reject. Copyedit: $40/hour, which typically comes to about $10 per 1,000 words. Proofread: Proofreading is completed on a facsimile (or proof) of the finished product, and is typically completed on a paper copy with a pen or using the commenting features of a PDF. I offer a proofreading service to look at the final product before publication—this is typically when the book has been laid out in pages, or formatted correctly for an eBook. As your proofreader, I am focused on correction, not revision—making sure there are no typographical errors from when the manuscript entered into production, and keeping an eye on the formatting of the text. I will also check page numbers, footers, and headers, to make sure that they are consistent and accurate. I will always call out an egregious error, and work with you to fix it in a manner that keeps the same amount of lines on a page (to avoid adversely affecting the graphic design), but generally my job at this stage is to make sure that the facsimile is ready for print. Proofread: $35/hour, which typically comes to about $7 per 1,000 words. I also offer formatting services for my authors. I provide professional formatting for paperback books (PDF for CreateSpace) and eBook files (ePub for Nook and Mobi for Amazon). eBook Formatting: $60 for up to 70,000 words. $5 extra for each additional 10,000 words and $2 extra for each photo. (For example, a 100,000 word manuscript with 10 photos would cost $95). You will receive both an ePub file (Nook) and a Mobi file (Amazon) from me. Paperback Formatting: $100 for up to 70,000 words. $10 extra for each additional 10,000 words and $2 extra for each photo. (For example, a 100,000 word manuscript with 10 photos would cost $150). You will receive a PDF file from me. Please specify which size paperback you desire (5.5″ x 8.5″ or 6″x9″ are the most common) and provide me with a high-res file of your cover. Also indicate your header/footer preference. Combination eBook and Paperback Formatting: $150 for up to 70,000 words. $10 extra for each additional 10,000 words and $2 extra for each photo. (For example, a 100,000 word manuscript with 10 photos would cost $200). You will receive a PDF, ePub, and Mobi file from me. Change Requests: Once you have received your final files from me, please look them over carefully! If you see any typos or changes you would like me to make to the files (not related to formatting), I allow for a ONE TIME fix of up to ten corrections for FREE. After that, each additional request to make changes to the files (up to 10 corrections each time) costs $20.